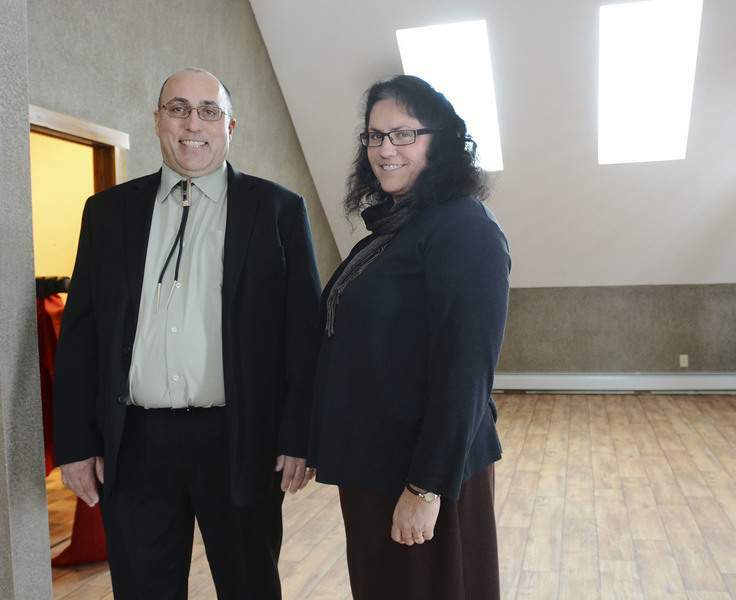 Cathie Rowand | The Journal Gazette Doug Lankford and Julie Olds are officials with the Miami Tribe of Oklahoma, which plans to use a building on Trentman Road for a Cultural Resources Extension Office. The Miami Tribe of Oklahoma wants to boost its presence in Fort Wayne. It’s doing that through the purchase of property at 10901 Trentman Road – in southeastern Allen County near Interstate 469 – to be the site of the tribe’s planned Cultural Resources Extension Office. The tribe is originally from Indiana but was forced to leave in the mid-1800s by the U.S. government, which relocated the tribe to Kansas and later Oklahoma. Having an office in Fort Wayne will allow the tribal organization to better consult with the U.S. government on construction projects involving the discovery of tribal remains or artifacts – a right afforded to Native American tribes by the National Historic Preservation Act. "It’s up to the state to notify former tribes that lived here about the discoveries, and sometimes they leave us out," said Chief Doug Lankford of the Miami Tribe of Oklahoma. Julie Olds, the tribe’s cultural resources officer, said it’s typically not intentional that the Miami aren’t notified of finds. "It’s not a leaving-the-Miami-out-intentionally thing as much as it is a difficulty on the part of state, and even construction entities; sometimes they’re new, sometimes they’re not aware the law exists, and inadvertently they end up leaving tribes out," she said. The office will also provide cultural programming for the 500 Miami tribe members who reside in Indiana. Lankford said programs offered for tribal members at the new cultural resources office will include language classes, dinners, get-togethers, arts and crafts events and storytelling. "There’s going to be the whole gamut of different tribal things," he said. "It’s kind of a place for our members to come and get together for events up here." The tribe has been looking at potential properties in Fort Wayne for the last several years, Lankford said. "We’d been talking about a purchase of either property downtown or maybe renting a place for maybe the last two to three years," he said. "Julie (Olds) happened to be surfing the Internet and actually found this piece of property on the Internet, and we made a run up for a different event and someone came up and looked at it, and it just fit perfectly." Planning for renovations are underway, Olds said, adding that May 9 is a tentative date for the center’s grand opening and dedication. It all depends on how far along construction is at that point, she said.